Shopping for Anything: Finally Graduation!! March and April are usually the graduation months in the Philippines. The normal school year is ending at these months..Finally, our youngest sister, Love2 will be graduating next week...Thanks God she finally made it. 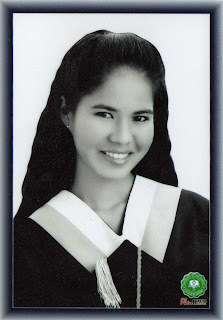 She studied as a Nurse in University of Visayas and I'm proud of her..She is partly my scholar..hehehe..thanks to all sponsors, sis Raq and hubby!! Congrats sis!!! Wish you all the best in this wonderful world!! Good luck..God bless us all!! congrats to your beautiful sister. best wishes to her. thanks dae Lots,, ayo2 dinha! !